The amount of craft supplies and fabric in my house has reached Crisis Level 4. Yesterday I started going through fabric and canvases and paint and duct tape and all the other crap useful supplies. I decided to make a leaf-printed canvas in order to make a dent in the Supply Avalanche. So while I can’t find the original site to link back to, know that this project was inspired by someone else’s. Although I think their methods were a bit more refined than mine. As per usual. This project is easy, and can be done in an afternoon. 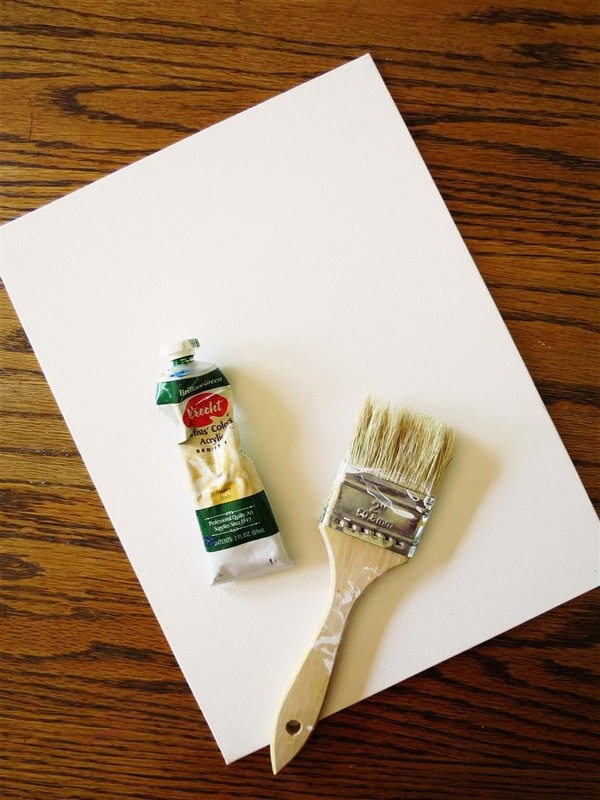 Grab a canvas, a brush, and paint. I used acrylic, but pretty much anything will work. Shmear some paint on the canvas and let it dry. 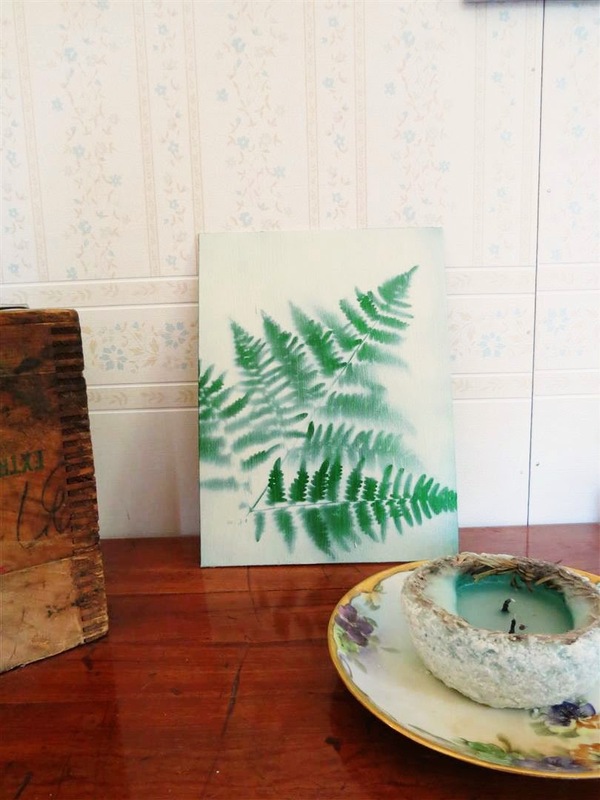 Procure some greenery and a can of spray paint in a contrasting color. 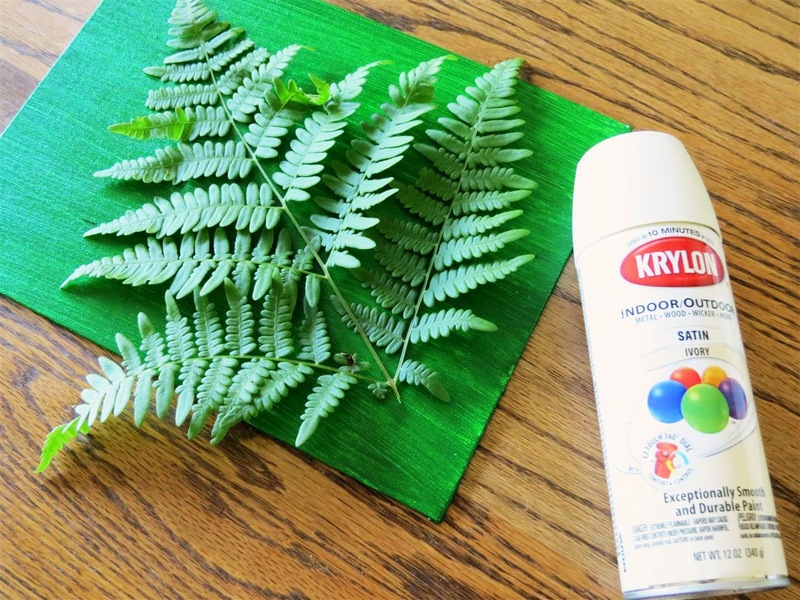 I used a fern and a can of Krylon. 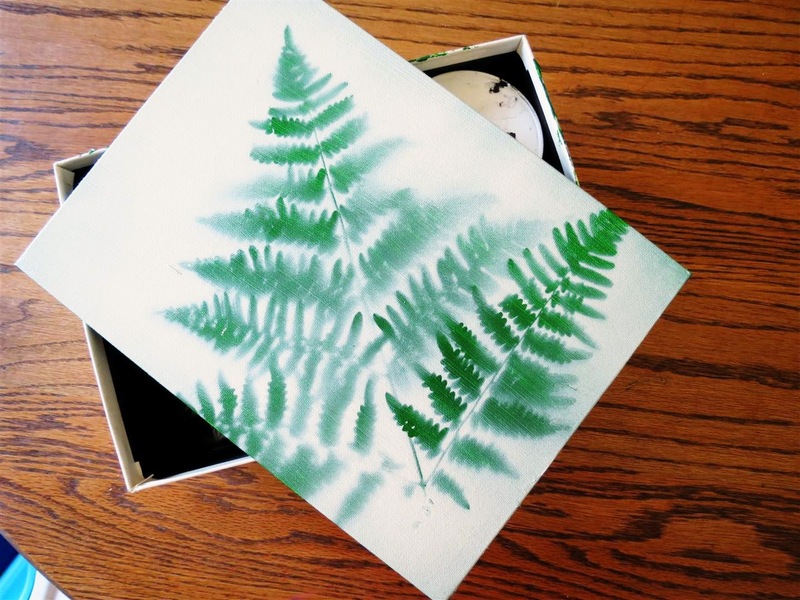 Arrange the leaves however you like on the canvas. You can spray them with adhesive if you want them to stick firmly to the canvas. If you skip this step (like I did) the lines won’t be as crisp and will be slightly blurry (which was what I was going for). The decision is yours. Then, spray it. I sprayed on one coat and was happy with the coverage. If more coats are necessary, let dry between each. When you’re done, peel the leaves off. And that’s that. Let it dry completely, and then set it on a shelf or attach a hanger to the back and put ‘er up on a wall. See you for Photo Friday! What a terrific idea and it turned out beautifully. I'll have to store this one away in my memory bank and hope it doesn't get lost in there. See, that's what happened to me! I saw the idea, promptly forgot it, and then a year later finally remembered it.